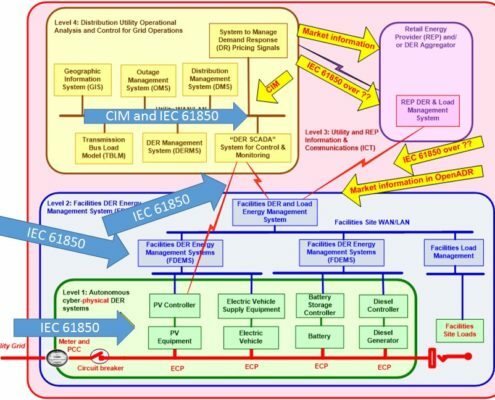 Within the 61850 standard, the subset IEC 61850-7-420 describes the management of Distributed Energy Resources (DER). Distributed Energy Resources (DER) such as solar installations, local power generators and e-mobility loading infra cause a substantial turbulence in smart grids. In many respects, also a wind park can be regarded as DER. 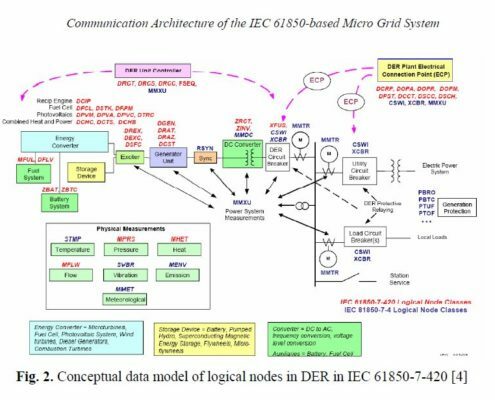 (formally a different standard IEC-61400, but this standard is incorporated into the Xelas Energy 61850 tools seamlessly). 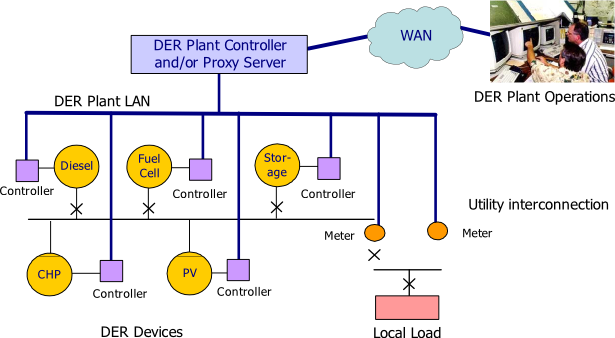 Introduction of distributed energy resources (also often called Distributed Renewable Energy reSources- DRES) has a huge impact on the complexity of the smart grid network management. Energy flows become diverse. Energy consumers partly become energy producers. Renewables are often integrated on the medium-voltage network level, sometimes even on the low-voltage network level. The medium and low voltage network levels are often not fully remotely managed yet, their substations not 61850-standardized either. 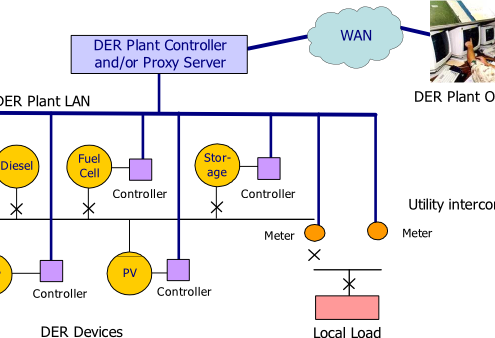 Distributed energy resources and other smart network parts become networked devices, using peer-to-peer protocols such as Goose and Sampled values between the networked devices. Because the Solar/Wind produce energy depending on the weather, their power input is very irregular. There are many different vendors, models and methods, implying that the grid manager needs to deal with a lot of variety. This makes standards-based DER management extremely important. Not only the protection- and control functions in the grid require adaptations, due to DER integration. Also asset management, network model management and data analyses require direct feeds of information from the solar/wind and other decentral energy sources. 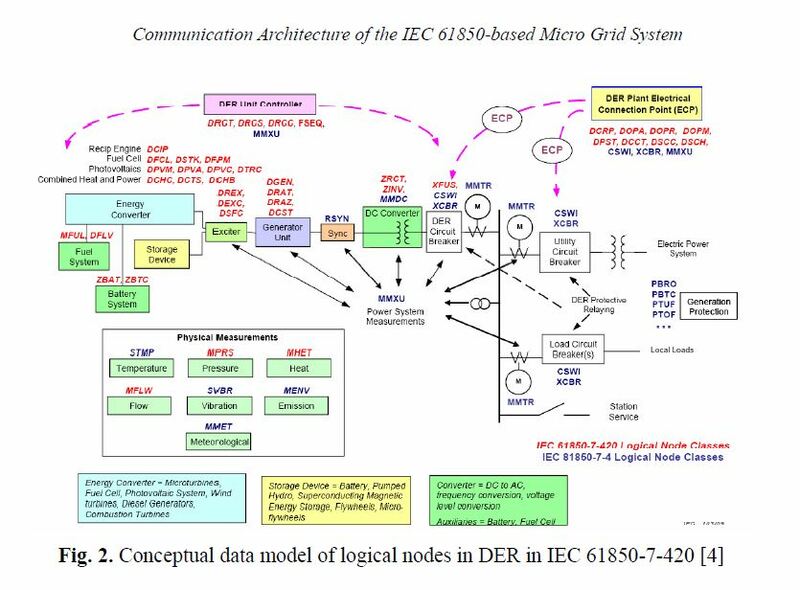 Some DERs can be bundled into Microgrids. DER management is both technically and organisationally a big challenge. Standardized information collection and modelling is fully provided by IEC 61850. Xelas 61850 embedded servers can easily be ported into various equipment, small and large. Using the various 61850 protocols, they can be managed, and provide peer-to-peer communication. Xelas 61850 clients provide all required management functions, and can be distributed and converged. The 61850 agent reflects the whole installation in its relational database. 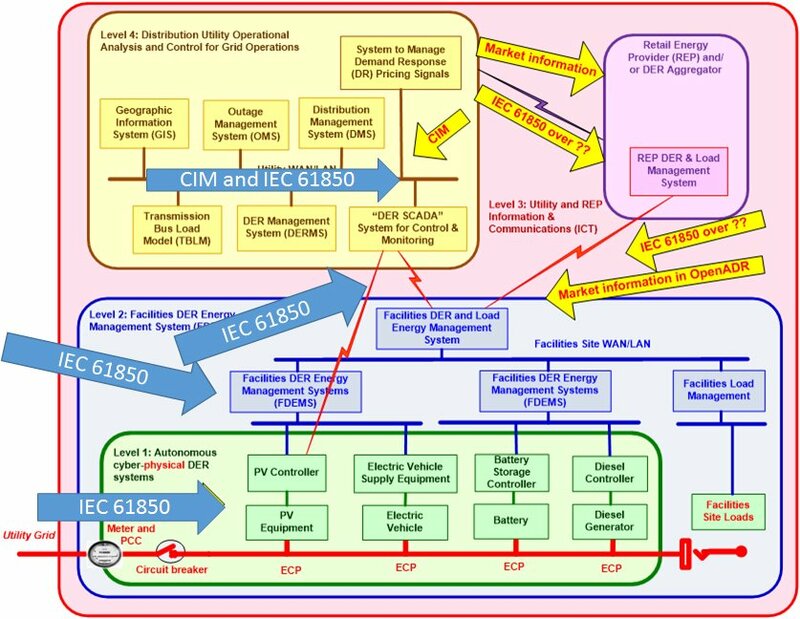 The integration with applications on operations and enterprise level requires matching the IEC 61850 information with financial -, business- , geographical – and customer information. This matching is defined in the related IEC Common Information Model (CIM). Xelas network data integration platform provides the essential technology. So smart, efficient management of distributed will require a substantial growth in grid management/operations functionality. The distributed renewable energy market is global and unstoppable. No single DSO/TSO can manage it without using the IEC-standards. Xelas Energy provides all essential technology building blocks. Next to the already mentioned embedded servers, management clients and data integration platform, Xelas offers powerful simulators and a comprehensive compliance test suite to rapidly integrate new network equipment. Xelas Energy is a one-stop-shop, delivering, supporting and further enhancing our products to the satisfaction of its customers.